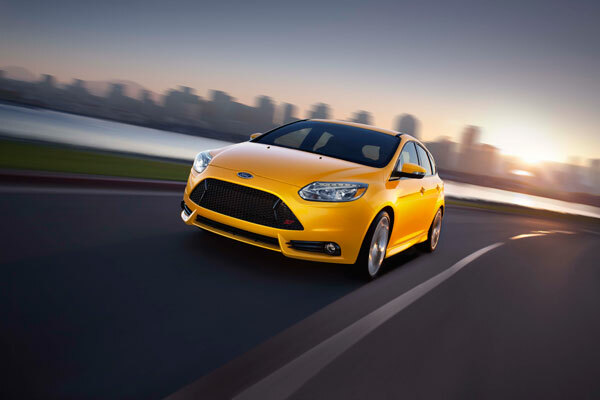 Ford Motor Company has recently revealed some interesting data around their Focus ST sales. Surprisingly enough, the new, sleek Focus has deemed very attractive to a new market of buyers. Not only is the younger generation finding Ford’s new Focus ST very appealing, but Ford has noticed a huge jump in Focus ST sales from previously non-Ford owners. Since the Focus ST’s initial launch, 65% of sales have been by customers trading in a non-Ford vehicle for the Focus ST. This is actually the highest percentage of conquest sales for a non-hybrid vehicle among any Ford car or truck. Ford noted that the most traded-in brands have been Honda, Chevrolet, Mazda, and Toyota. In addition to turning non-Ford buyers into Focus owners, the Focus ST has been sold to a large number of younger generation buyers, with 32 percent of total Focus ST sales to drivers 35 and under. Come to Sanderson Ford today and come see why everyone can’t stop talking about the all-new Focus ST!